We were driving through West Virginia, a little numbed by the road. 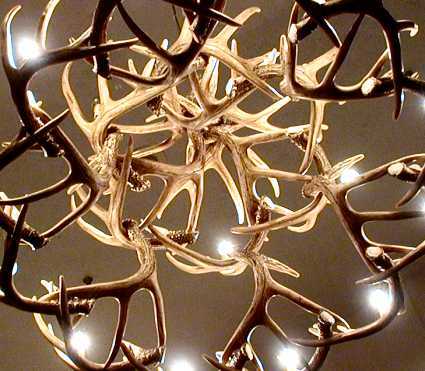 So we stopped at a resort, and we sat below chandeliers—6 of them at least—made of interlocked antlers. This is Antlers by Paul Ford, published Thursday, August 7, 2003. It is part of Artifacts, which is part of Anthologies, which is part of Ftrain.com.